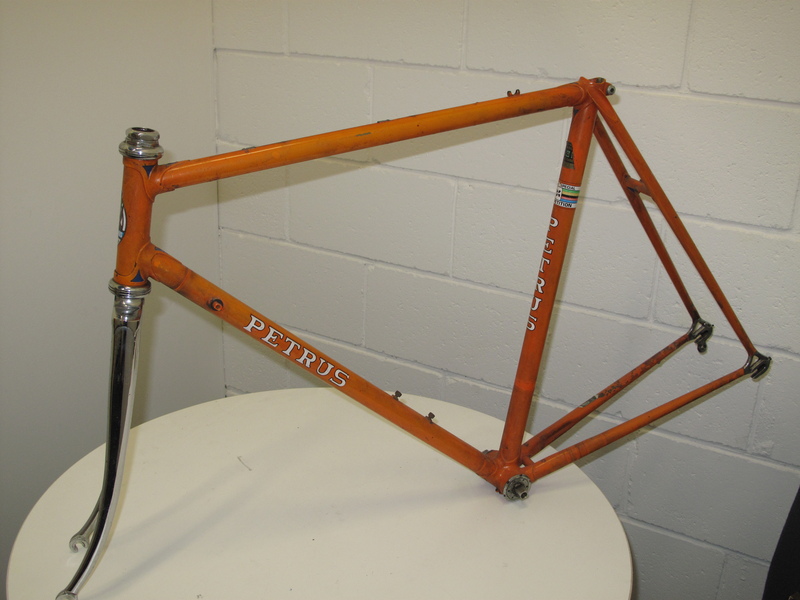 As I mentioned last month I have been recently motivated to begin a restoration of a Petrus road frame I own. Petrus frames were built by ex-Olympian Peter Brotherton. Peter competed for England and after the 1956 games in Melbourne he decided to stay. He worked with the Australian team and amongst other things he built frames. He built them one at a time and from what I can gather used the hearth method. One of his more well-known customers was Allan Pieper. I remember seeing a few in the years I raced and always being impressed. When the opportunity to obtain one that would fit me came up I jumped at it. One of the reasons that I enjoy doing something like this is that I get to have a serious look inside a frame and see exactly how much care went into a frame by that particular builder. There are a dozen ways to skin a cat so by doing this I get to observe how other people do things. Something I immediately noticed on this frame was that it was pinned. Not surprising for a frame built in a hearth. 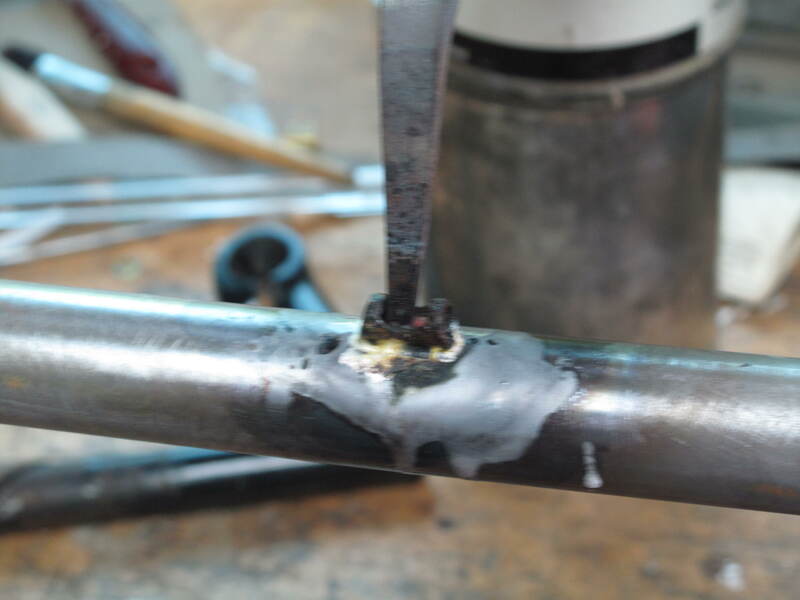 What is more unusual is that unlike some frames where the inside of the joints look a little like a porcupine, with pins coming in from either side, this frame has pins traveling right across the joint from one side to the other. Given the fact that this was a custom frame, I was interested to perhaps find out a little more about it. It is orange with blue highlights in the lugs. Clearly someone wanted to emulate Eddie. It has a slotted bottom bracket shell. 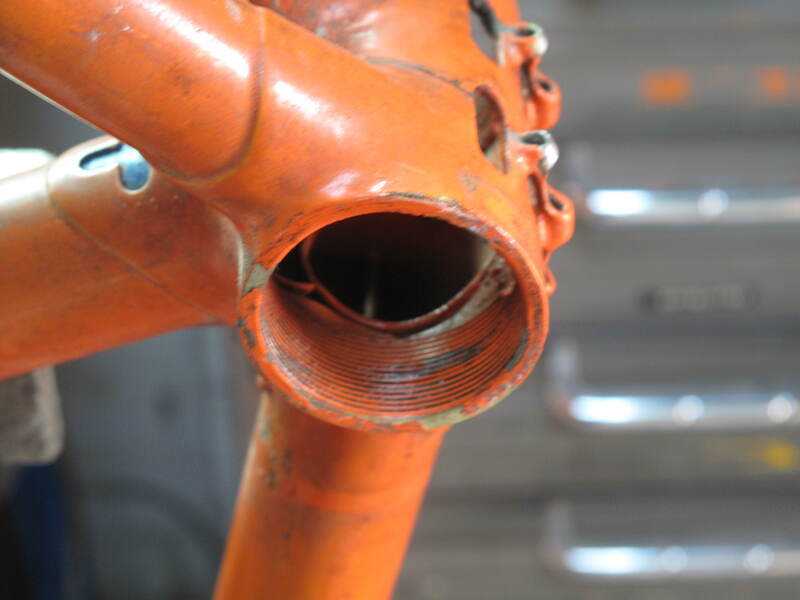 I have been advised that Peter stopped using those in 1979 in favour of Cinelli ones. This fits with the Merckx timeline. 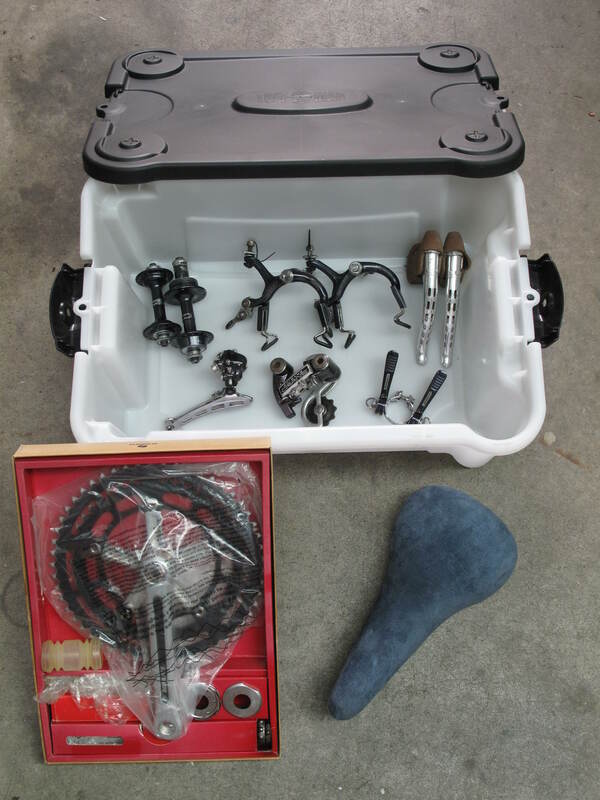 It has Campagnolo dropouts and caries a Reynolds 531 tubing transfer. The search for information has led me to more than one owner of Petrus bikes and a couple, including the son of Peter Brotherton who have owned theirs from new. Enough of the description. On to the project.